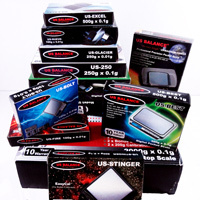 This flagship product is one of the most amazing products we have ever encountered here at the shop. Not only is it 100% legal everywhere in the world, it is one of the most pleasant and effective herbal smoking blends we have found. 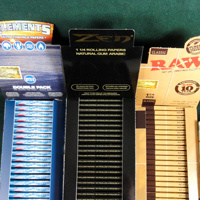 It needs no introduction, and we have yet to have a single pack returned because of an unsatisfied customer. Several imitators have since appeared on the market, but Lucid Herbal Smoking Blend is the ORIGINAL and the BEST, complete with its own colorful, reusable pouch and included hemp rolling papers. 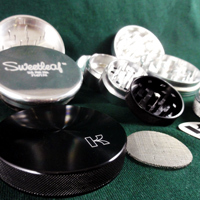 Read more at SweetSmoke Herbs, who have an entire line of premium smoking blends. Sometimes, there's a lot of confusion over which herbal smoking products are which, especially because there seems to be a growing number of terms for them. In short, almost all of them mean the same thing. Before we go any further, though, please note that none of the smoking herbs we offer through our Herbal Smoke Shop are intended to be a substitute for any medicine or drug, legal or otherwise, and we make no claims whatsoever in relation to any of the products. 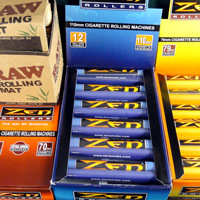 Please do not ask about whether any of the herbal smoking products we offer mimic the effects of any other product. We offer each one of these to be enjoyed for their own pleasurable taste and unique properties. We focus on herbal smoking blends of traditional herbs and blends used, at times, for thousands of years in shamanic and Native American traditions, as well as rituals in Africa, India, and elsewhere. We offer our own favorite blends as well as herbal buds and blends from a select few manufacturers based on the ones we have found to be most enjoyable and pleasant-tasting. None of our products contain any of the dangerous chemicals or other additives that appeared on the market for a while. We're proud to offer herbal smoking blends that are completely legal everywhere in the world. Although many of the exotic botanicals used in these herbal smokes have long histories of use, due to FDA regulations, we make no claims in regards to the effects of these products on the human body. Furthermore, none of our herbal smoke blends are intended to diagnose, prevent, or cure any disease. That being said, there are really three main types of herbal smoking blends. FLOWER NUBS: These come in 2 forms. One is a real flower nub, harvested from a real plant. The other is a “pressed” nub that is held together by some sort of natural bonding agent such as cellulose (the same thing that the “glue” on rolling papers is made from). Both appear as real flower nubs, but only a few are actual flower nubs from a single plant. 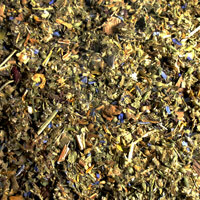 Many blends from places like International Oddities seem to be based on well-known herbs such as Wild Dagga and Wild Lettuce, and come in varying types. SMOKING BLENDS: These are everything else. Anyone can make claims as to the potency of their herbal smoking blends, but the only ones we offer here, are based on solid historical data, recipes, and intensive research into the most effective blends with tangible effects. If something only has a placebo effect, or if the herbal smoke isn’t tasty and enjoyable; we don’t offer it. BURNING BLENDS: This is something that we thought of many years ago. Burning Blends started of as only our three products known as "Diviner's Three", "Morphing Blend", and "Dreamer's Blend". These are more versatile, as they can be rolled into cigarettes and smoked as an herbal smoking blend or burned as an incense. These exclusive blends typically don't have herbal extracts as our smoking blends do; they are recipes with natural herbs in them, made from pure leaves only. We have our own personal favorites, but to pick a Top Seller would be impossible. Those looking for tasty smokes gravitate towards our Blueberry Nubs, while others who want to use their herbal nubs as a base for flavor enhancers often choose our A'hia Nubs. Then, the blends we carry in our Herbal Smoke Shop with the most potent blend of herbs in them are, as usual, our Daganda and Lucid Blends, both of which come in colorful packaging, complete with rolling papers, and as with all our products at the shop; backed by our 100% Satisfaction Guarantee. WARNING: Smoking of any kind is dangerous to one’s health, even if it's a chemical-free herbal smoking blend like the products we offer here.